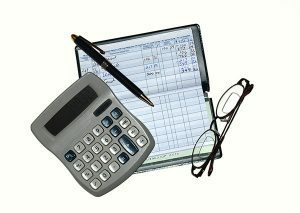 When business owners talk about the excitement of running their company, the joy of doing payroll almost never comes up. Payroll is meticulous, labor intensive, and riddled with the chance to make costly mistakes. That’s why more and more owners are outsourcing the task. In addition to buying the increased expertise in an atmosphere of complex regulations and tax situations, they are paying for that burden to be lifted from their shoulders. Having decided to use a provider, the next step is choosing which provider to use. There are a lot of providers and culling the list is not a simple task. First, check with your circle of advisers. If your company has a financial officer, regular legal counsel or a regular tax provider, they may have some helpful insight. Then expand to business owners in your network. See who loves the provider they’re using or who has a horror story. Finally, you can go online and narrow your search through comments and consumer reports about the firms you are considering. Once you’ve whittled the candidates to a manageable number, it’s time to start asking some specific questions. First, how much you can afford to pay for a service? Costs vary widely and, like automobiles, there are a lot of additional options that can increase the sticker price. Will they bill you monthly or by the pay period? Second, figure out what services you want to outsource. Make your list and then compare it against the services being offered to find your best fit. Third, check into support and security. When things go wrong, how quickly will your provider step up and make things right? When are they available? Good customer service should be one of their primary concerns. Also, because many payroll companies are online, what is their security record? Have there been breaches? What are their solutions? Is there a backup plan in case of internet outages? Fourth, how long have they been in business? How many clients to do they have? Do they handle other companies in your line? Do they handle payroll for your blend of full-time, part-time and contract employees? And finally, does the company have the resources to meet a growing payroll as your business expands? Once you’ve made your decision, every payday will be a reminder of the work you’ve put in. This entry was posted in Blog, Bookkeeping, Payroll and tagged payroll on October 21, 2016 by Diana Sheltra.